Everybody needs a little "Vitamin Sea" in their life! This adorable classroom decor bundle includes every product I have created within this line. Perfect for Pre-K, preschool, headstart, or kindergarten classrooms! 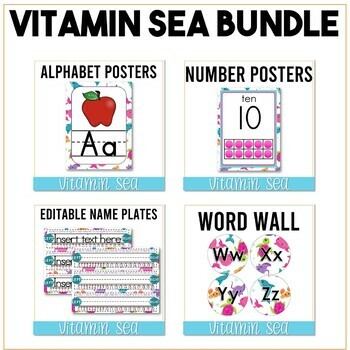 Your students will absolutely love diving into learning with this sea themed bundle.